The new resteraunt in Cannon Falls, the Artisan Plaza, is reviewed by the Lantern. There recently has been a new addition to the list of restaurants in Cannon Falls, the Artisan Plaza. This small restaurant and deli has many options to satisfy any customer. Once inside, we were politely greeted by a smiling deli worker. This restaurant and deli has a rustic atmosphere that almost reminds you of a farmer’s market. There are two entrances: one to the deli and the other straight into the restaurant. However, you can maneuver yourself in and out of both the deli and restaurant once inside. This was confusing the first time I went, seeing as the main entrance led to the deli and the side door led to the restaurant. The deli had a large variety of cheese, meats, and vegetable goods on display that one could take and go. Along with the meat and cheese, they had an aisle which displayed a diverse array of crackers and wine. Next to the meats and cheese, they had some dessert foods as well. In the back, there were a large assortment of refrigerated goods such as prepackaged sandwiches and salads, as well as drinks. The restaurant of the Artisan Plaza had the same rustic feel to it. There was a barn door leading into the kitchen, and one wall was lined with tin and had vintage signs hanging up. Booths were made of brown leather and rustic wood, which, by the way, were very comfortable. Main differences between the deli and the restaurant was the lighting. It was noticeably dimmer in the restaurant due to there being no windows, whereas the deli had many tall windows in it. Servers were very polite and attentive, and they all wore the same uniform, black pants and a black Artisan Plaza shirt. The only odd thing I noticed was that the menus were made out of paper. I can’t recall a restaurant that I have been to with paper menus, so this is probably due to the restaurant being so new. The menu had a smaller collection food, but a good diversity of Italian food and American food. However, a deli being attached to the restaurant really helps expand the food options. I ordered the Langhirano pizza and my godmother ordered the turkey and avocado panini. Waiting for our food took about the same time that it would normally take, even though the restaurant was getting more and more busy. When the pizza arrived, it was a suitable size and had a very delectable crust paired with a phenomenal flavor. Fresh ingredients were on the pizza which really added to the flavor. The panini was nice and warm when it arrived and came with a side of waffle chips and pickles. Both entrees had the same remarkable flavor as the pizza. The Artisan Plaza has a homey atmosphere and a large assortment of food whether you decide to dine in or take a quick snack from the deli. However, the location of the Artisan Plaza, for some, may be the only downside. 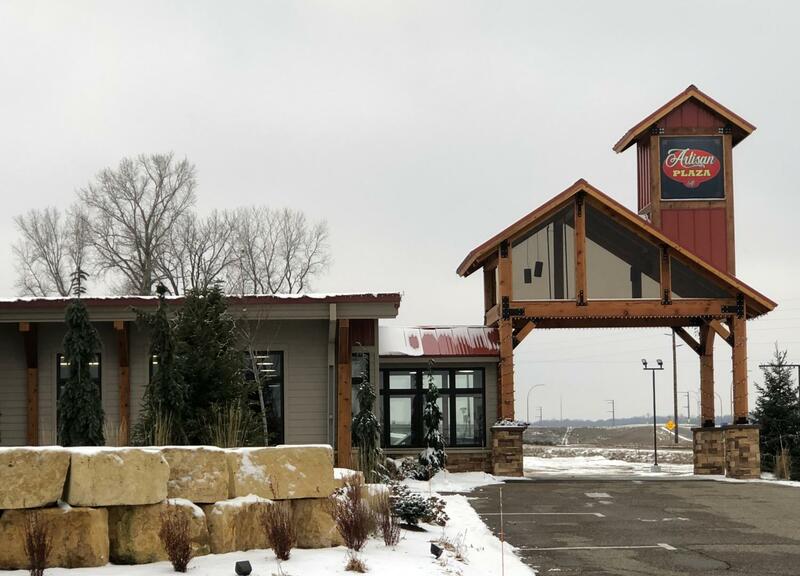 The restaurant is located outside of town near Highway 52. However, this should not be a deterrent to go and check it out as others feel the same way about this new little treasure in Cannon Falls. When I went to The Artisan Plaza I ran into Seniors, Laura Johnson and Grace Yarbrough. When I asked them about her thoughts on this new addition to the town, Laura responded with “The Artisan Plaza offers a variety of options formerly unavailable to Cannon Falls.” Grace responded with “The Plaza is also a great place to just chill with friends over a beautiful pizza”. To conclude I found The Artisan Plaza very impressive and would definitely recommend going there.